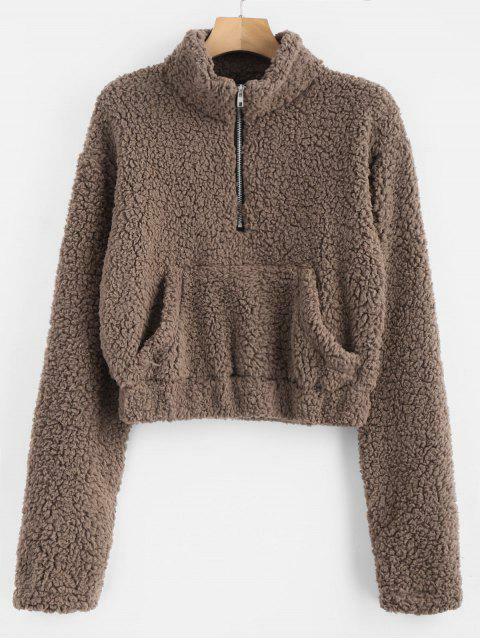 [35% OFF] 2019 Half Zip Fluffy Faux Shearling Teddy Sweatshirt In DEEP BROWN | ZAFUL .. 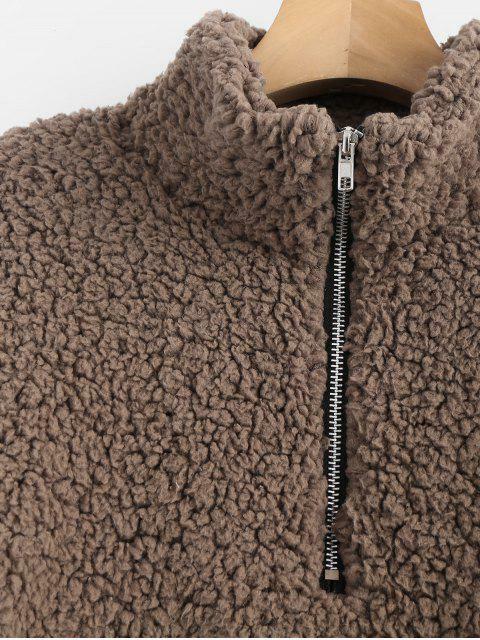 Comfortable and of fantastic material, and True to size!!! The material is great, it’s really soft and I ordered in a size s but I received a size m and I’m happy with it! I recommend to order a size bigger just if you want it to look loose.I love it! 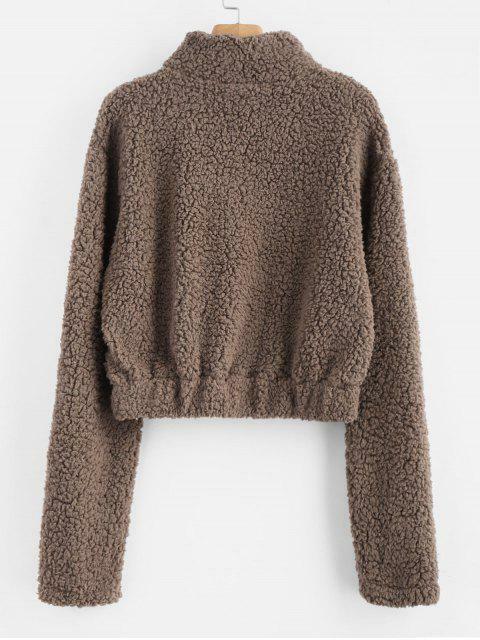 This pullover sweatshirt is the teddy style with the fluffy fabric making it keep warm for this cooler weather, which is finished with a subtly cropped length making it perfectly going with any high waisted bottom to complete the look.